Last week, in my first blog in this four-part series, I wrote about the evolution of Enterprise Content Management (ECM) and began my discussion by focusing in on one of the key elements of a next-generation content platform: modularity. This week, I will go a step further and explore one of the key issues with legacy ECM systems and contrast this with a more modern approach that revolves around openness and connectivity. There is a fallacy at the heart of ECM. Enterprise Content Management was originally more of a philosophy than a technology: we believed that we could make unstructured information (content) easier to find and work with and, by doing so, we could help customers to be more efficient, more productive and more informed in their decision making. However, along the way to this simple but lofty ambition, our original concept morphed into an entire suite of technology and, at its heart, was an idea that a single repository was needed to make all this information readily accessible and sharable. First and foremost, almost no one actually deployed only one ECM system. Instead, depending on the needs of the business, different departments purchased and deployed different systems. Second, most ECM suites grew through acquisition and, in many cases, this single-repository approach made it more difficult to properly integrate newly acquired functionality. Finally, not all products within any suite are created equal. So, in many cases, customers were forced to either purchase a new tool from a different vendor (see issue #1) or procure a less functional, less capable or less appealing tool in order to purchase from the same vendor. I would also point out that many of these legacy ECM suites were architected 10, 15 or even 20 years ago and were really designed as proprietary systems. So, perhaps a “best of breed” or connected approach was difficult or even impossible to achieve back then. However, technology has certainly evolved since then. Isn’t it time that ECM evolves as well? Your users should choose how they want to work. In this modern, app-driven world, the user is empowered to self-select the technologies that make him or her the most productive. Microsoft SharePoint, Google Docs, EFSS tools like OneDrive, Box and DropBox: these are all great examples of simple, lightweight apps that users employ to create, share and work with content. This only begins to scratch the surface. How about messaging apps like Slack or Microsoft Teams, where content is routinely shared and distributed? Or, business applications like Oracle, SAP, Workday or Salesforce, where content is often a critical element of the business process? 1. Limit user access to these apps and continue to attempt to force users to adopt enterprise standards (we know how this will end). 2. Allow users to work the way they want to work. I think the answer here is apparent. Your next-generation ECM solution should provide out-of-the-box connectivity to your most common business and productivity apps. It should also provide an open, standards-based connectivity framework that enables you to easily integrate with new apps, when OOTB connectors aren’t available. This simple, best-of-both-worlds approach gives your users the flexibility they need, while enabling your organization to better leverage your content across the enterprise. You should have choices about where your content lives. If you’re like most organizations, you have multiple content silos in your organization. Perhaps these are departmental deployments of legacy ECM solutions, SharePoint instances scattered across the enterprise, or newer content stores for sync and share apps. With legacy ECM, you have only one choice: to have your users copy or move this content, slowly and painfully, into a centralized repository and then hope that they can find it again. With next-generation ECM, the answer is much simpler: connect to these different repositories to provide federated access to all this information. 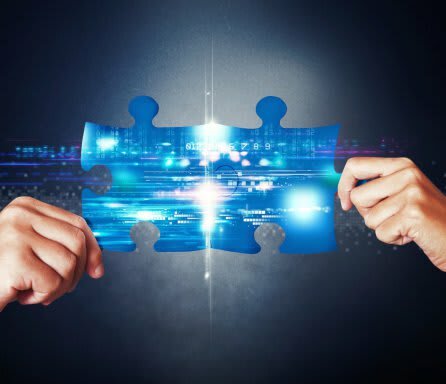 Again, out-of-the-box connectivity for common content stores and an open, extensible connector framework is a key element of a next-generation ECM solution. By the way, once you have been given a choice about where content lives, you also have choices to make about where content will live in the future. A modern, next-generation ECM platform should support any number of storage options for your content. Does your regulatory environment require your content to be stored on-premises? Do you want to take advantage of low-cost, high-availability Cloud options like Google Drive, Box or even Amazon S3? Or, does a blended, hybrid approach better fit your needs? Great. These should all be storage options that a next-generation content platform provides. You should choose when and where to deploy your next-generation solution. As we’ve discussed above, the legacy, single-repository approach creates a number of challenges for your users and actually makes it harder, not easier to achieve the original vision for enterprise content management. It also creates a unique challenge for IT: how to deploy new content technologies in an organization that already has many. With legacy ECM platforms, you once again don’t have many choices. You can either “lift and shift”, discarding your previous investments and replatforming all of your current content solutions. Or, you can choose to continue to live with the silos in your organization. However, with a modern ECM approach, you have much greater flexibility in adopting a next-generation platform. By offering connectivity as an option, existing investments can be left in place, without leaving the content behind. This gives you a choice about when, or even if, you want to decommission older ECM environments. And that’s really what it’s all about: having a choice. Once again, my argument is simple. Legacy ECM suites are closed systems, architected around a common repository and a singular way of doing things. Next-generation ECM is all about choice, openness and connectivity. Your users should have a choice about what tools they use to perform work. You should have a choice about where content lives. And, you should have a choice about when or even whether you migrate existing content stores. Connectivity makes this all possible. Well, connectivity, and a very flexible metadata model; but, that’s the topic of my next blog post.